Up to 75% off outerwear! Anyone still need a coat? Also a great time to think about Angel Tree gifts, as most of the angels I’ve seen have requested coats, especially for kids! 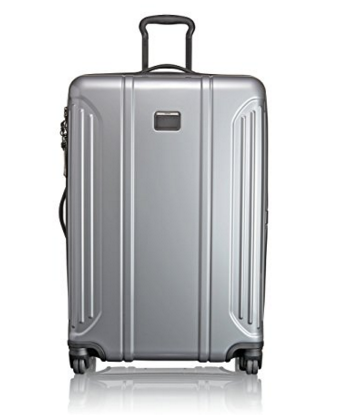 Today only the Tumi Vapor Lite is up to 50% off in 4 sizes!! You won’t find a more lightweight or better made piece of luggage and these prices are an absolute steal. Gift this to the traveler on your list and it’s sure to be a hit. Nordstrom: Extra 20% off of current sale items! 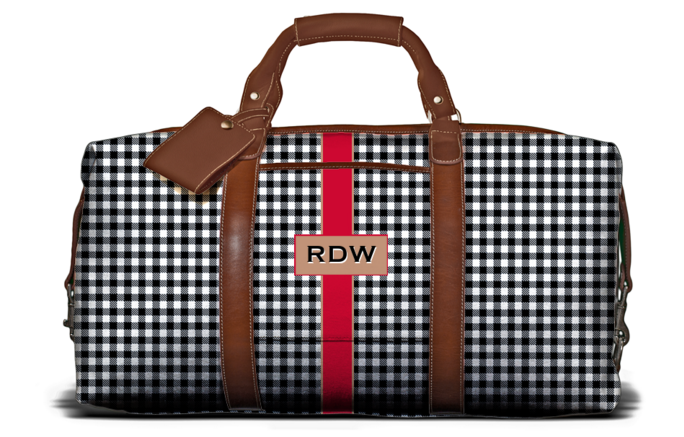 Weekender Bag that’s now UNDER $50! 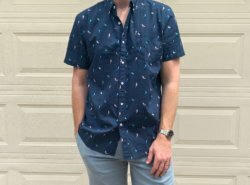 The Hubby stocked up on his favorite trim fit dress shirts for $32! Seven for All Mankind high waisted skinny jeans marked down to under $100! Men’s half zip pullover for $32 in a ton of colors! My favorite black body con dress on sale for 33! See the post on how to style it HERE. Our favorite tunic got another markdown!!!! It’s now $22 and NOW’S the time to buy it in additional colors. I just bought two as gifts and I’m loving this dusty lavender layered with Fall neutrals. Shop all TEN colors on sale HERE. LOFT 50% off of everything! 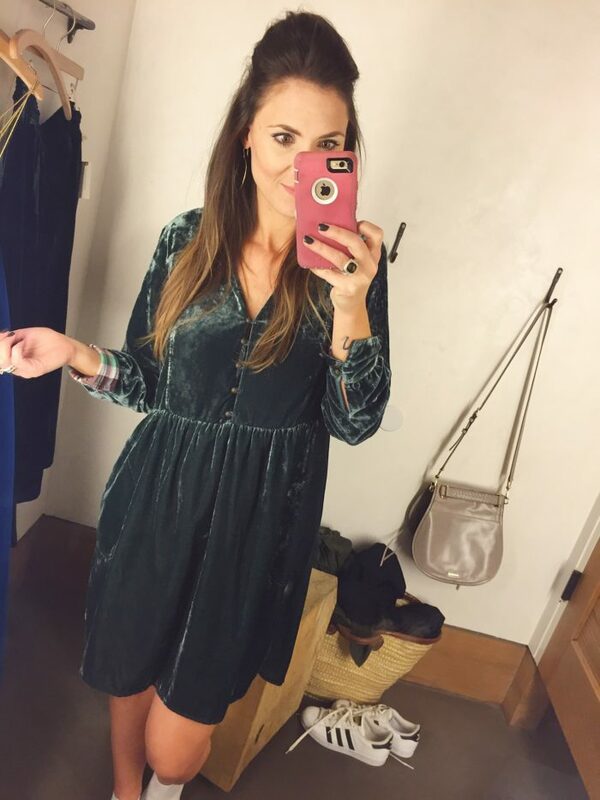 Tons of you LOVED this silky keyhole dress on sale for $45 from Fridays post!!! The colors and silhouette are so on-trend for this winter and you can easily make a holiday outfit of it by combining it with black opaque tights and these wine colored booties (ON MAJOR SALE, too)…you’re welcome! My mom ended up ordering this, she can’t wait to get it in! I posted about this cowl neck tunic sweater on Friday and ended up trying it on in pink and loved it! On sale for $35 HERE. SHOP ALL SWEATERS ON SALE HERE! 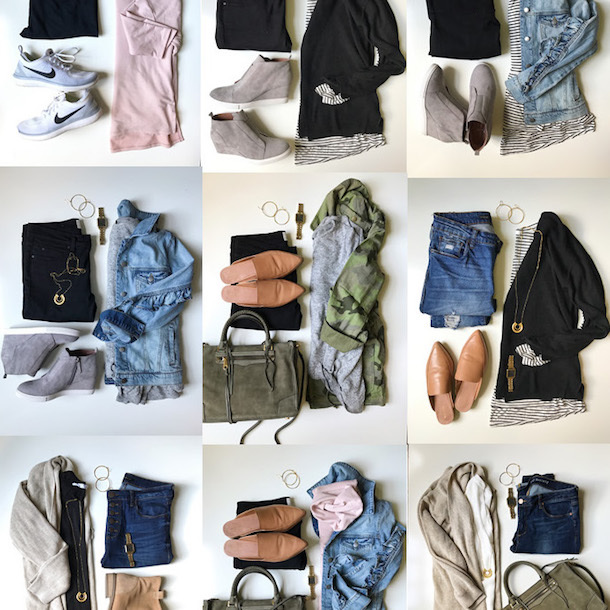 Here are a few other things we tried on and loved! 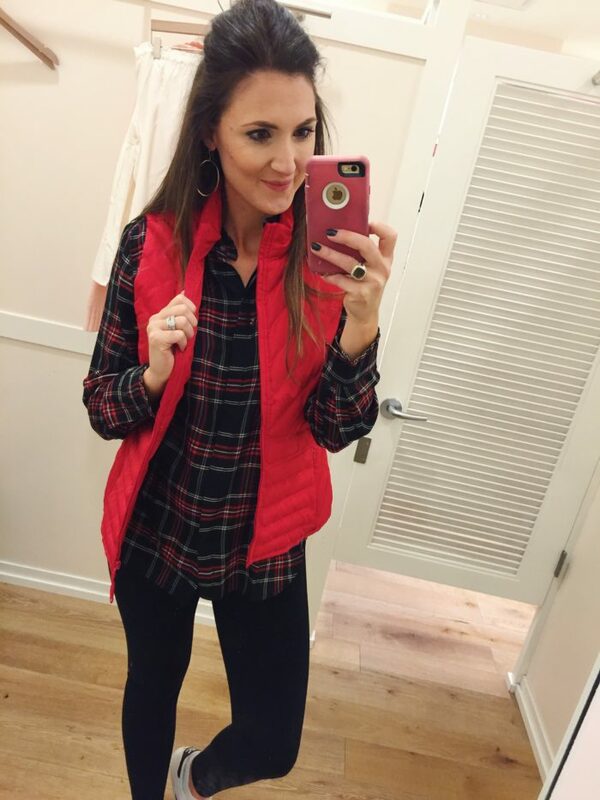 This red puffer vest (on sale for $40) and this plaid ruffle top (on sale for $27) was such a cute combo and felt super festive. This off the shoulder top with exaggerated bell sleeves is a total steal at $25! It needs a strapless bra + white or ivory bandeau over it. Would also be cute with a fur vest over it! 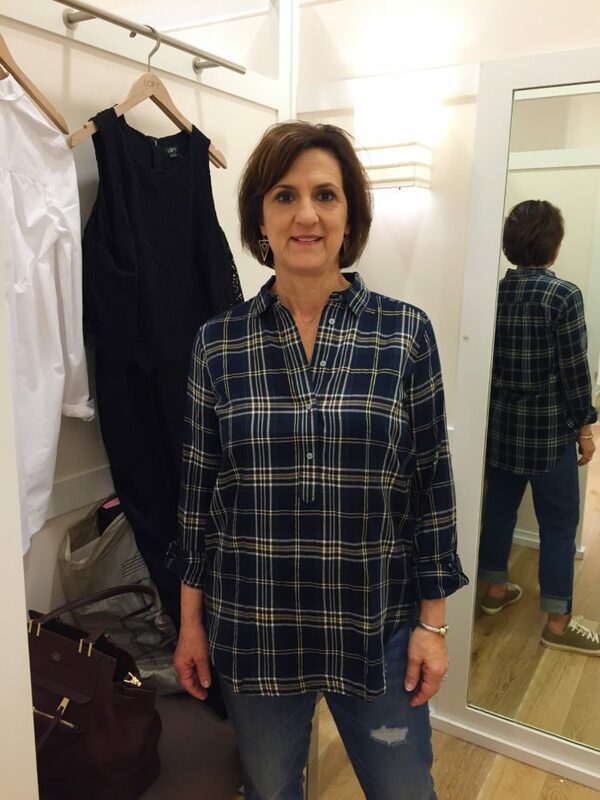 My mom looked so darling in this plaid tunic! It has a metallic thread running through it and is a great length. She scored it on sale for $30 and you can too! Prego ladies, it also comes in maternity!! Barrington Gifts 10% off of everything with code “THANKS10”! You guys loved my captains bag from this summer’s packing post and they make such excellent gifts! 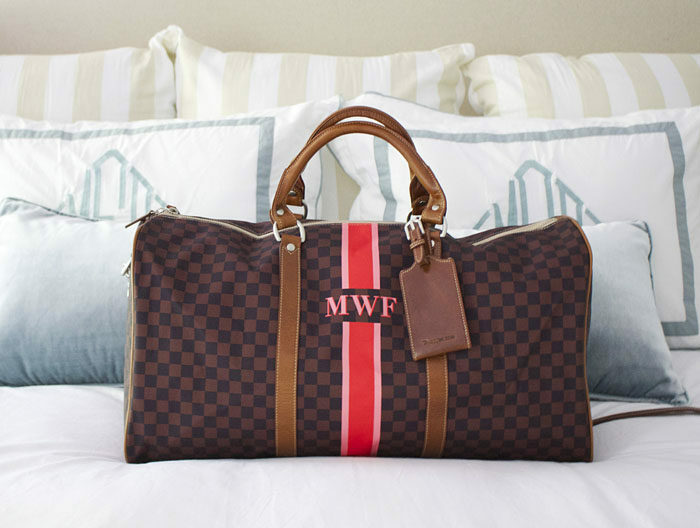 My mom has been dying for a new weekender and ended up adding this combination (below) to her Christmas list! 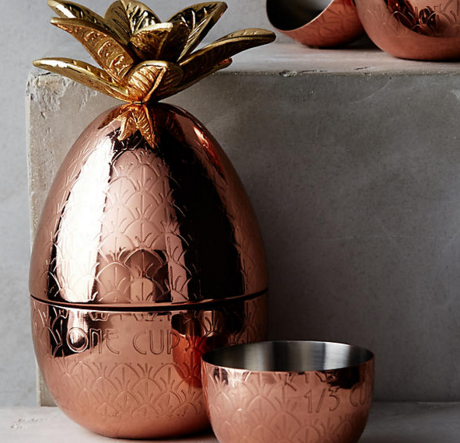 Anthropologie 30% off of everything! I bought these darling pineapple measuring cups as a gift for girlfriends. They can be displayed on the counter which I love and can then be broken down and used to measure. I mean how cute?! 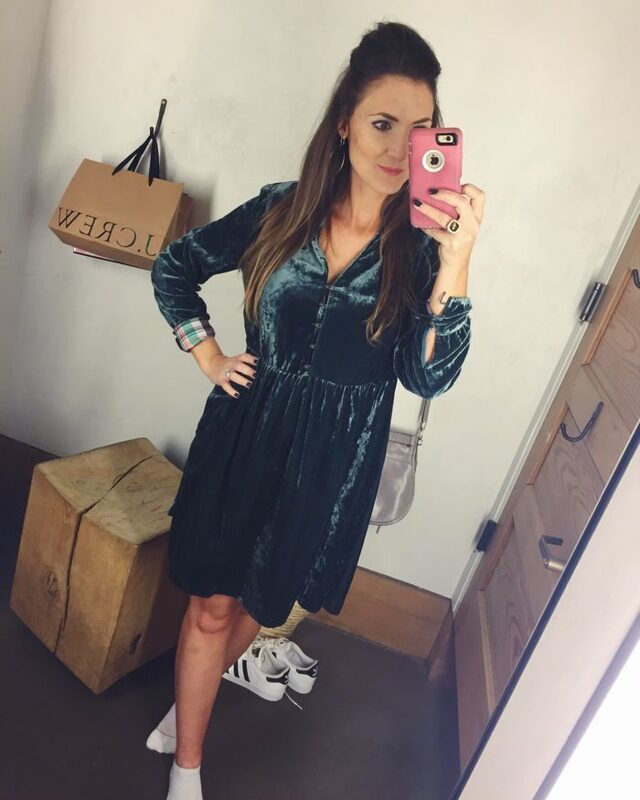 I tried on this darling velvet shirt dress in the store the other day and I think that I might just pull the trigger today. It comes in 3 amazing velvet colors and is already a good price! Perfect for Holiday parties or even casual wear with flat over the knee boots! Gap 50% off of everything! I LOVE this sherpa vest for women (on sale for $35)! 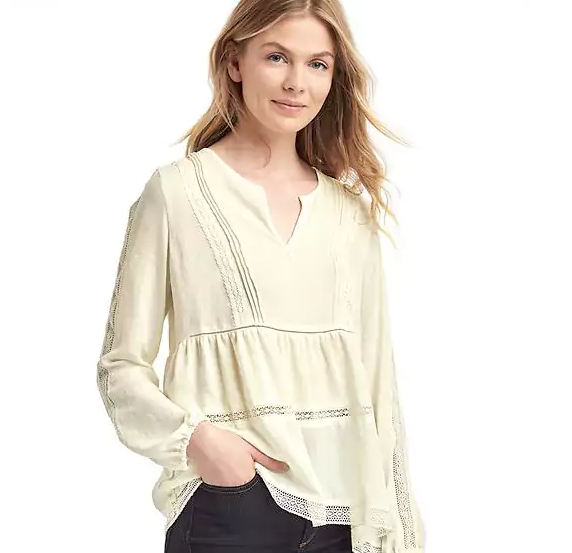 This peasant top reminds me of the one you guys went crazy for during the Nordstrom sale. It’s on sale for $30 in two colors HERE. Old Navy 50% off of everything! I bought this velvet skirt for Landry for Holiday wear! It’s on sale for $16.99 and she’s going to wear it with this this faux fur vest that’s also on sale. 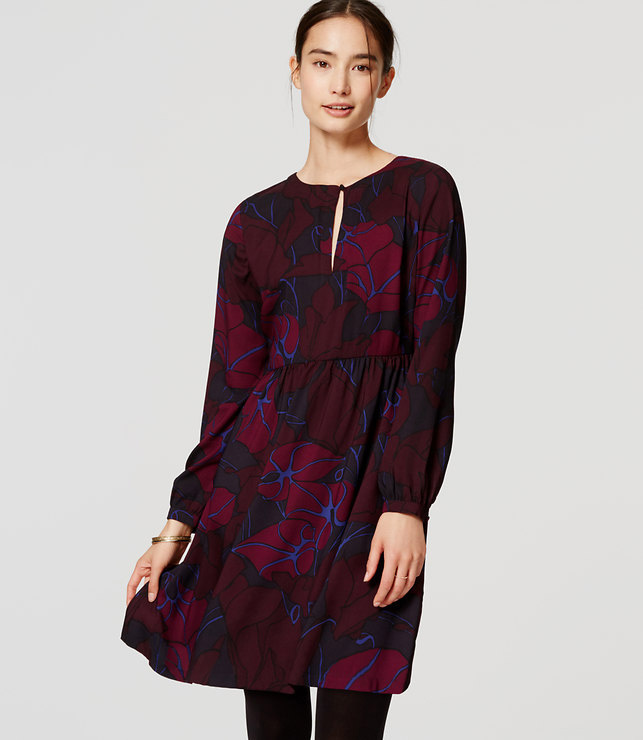 Ann Taylor 50% off site wide! ASOS 30% off site wide! This is truly one of the ONLY times in the year that ASOS has a site-wide sale! 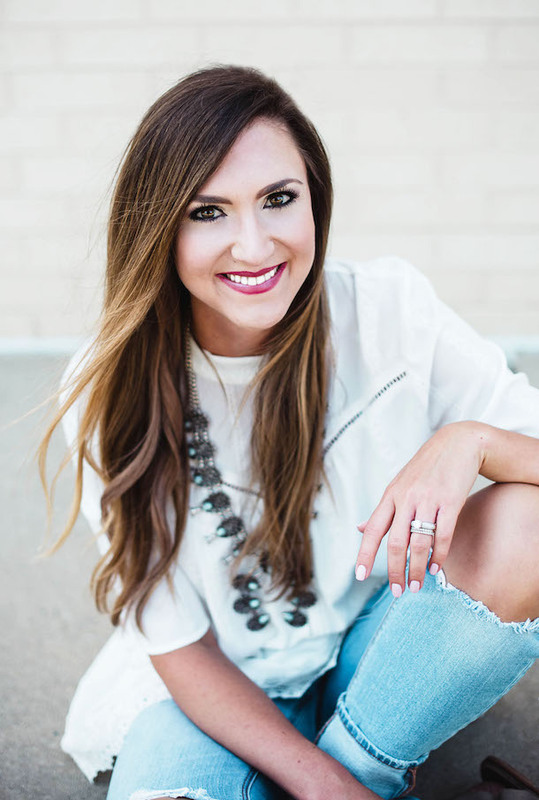 A great time to buy a few TREND TOPS, HOLIDAY DRESSES, or even TRENDY MATERNITY PIECES. This cashmere blend swing dress is a SOFT and versatile basic for a total STEALLL! Shop it HERE. Also, considering THIS one shoulder dress for Dan’s work Christmas party. I would wear it with THESE earrings. Thoughts? It’s a pretty formal affair. BaubleBar 35% off of two or more pieces OR 25% off of one! 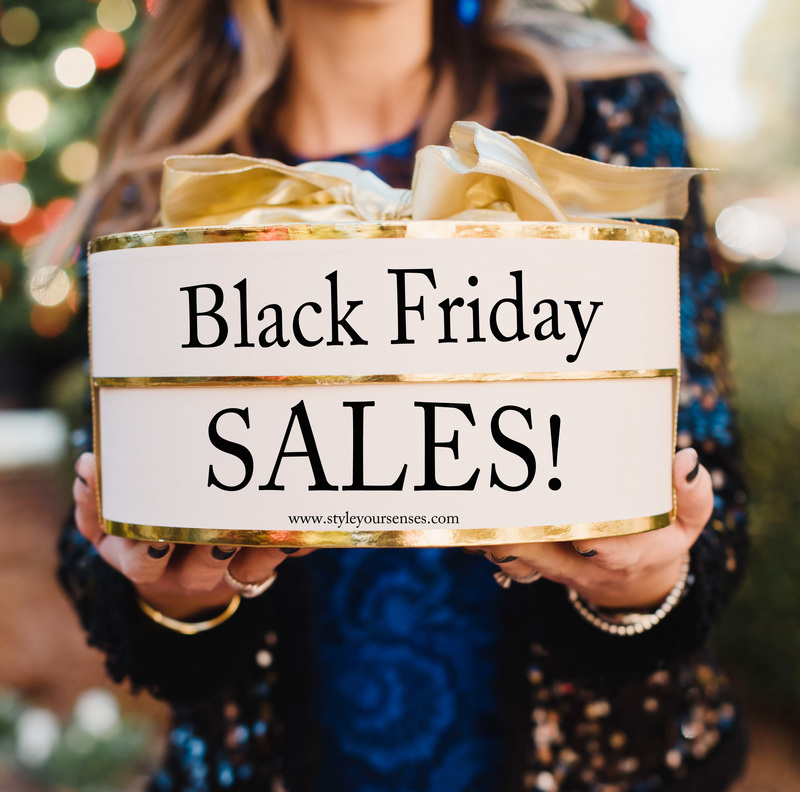 Tory Burch 30% off your entire purchase! Rebecca Minkoff 25% off your entire purchase over $100! 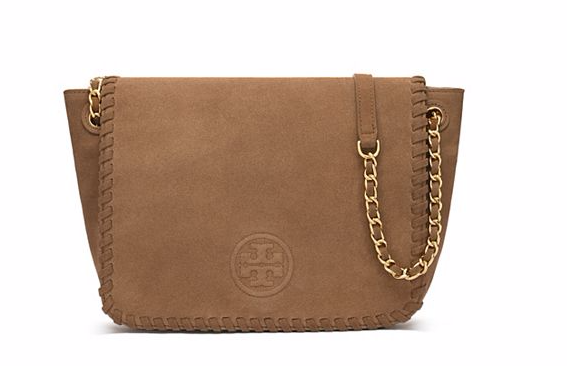 This cutie cross body bag makes for such an awesome gift, especially at the sale price of $131. Shop it HERE. 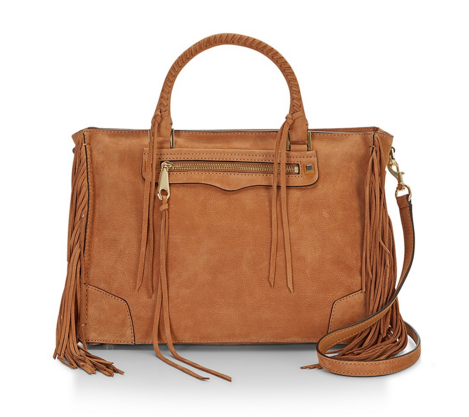 Also, if anyone wants to buy me this bag, I would love you forever. On sale for $245 from $425. Target 15% off of your purchase!! WOW! This is an amazing deal AND it includes already reduced sale items! Shopbop up to 25% off! 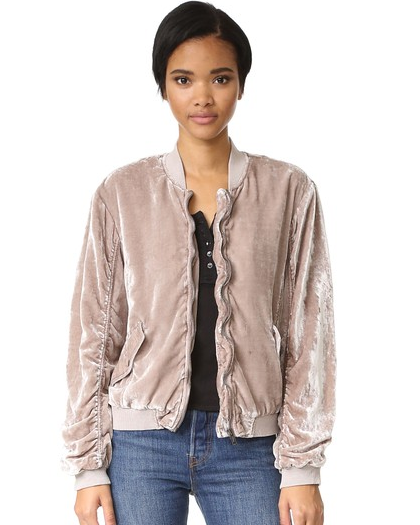 Free People Bomber Jacket // Shop all Free People on sale HERE. Okay, I’m dying! 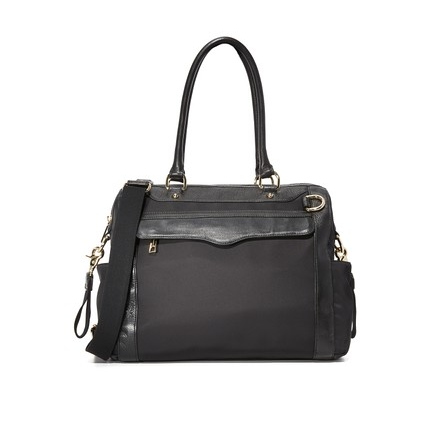 I had NO idea that Rebecca Minkoff (you guys know she’s a favorite) made diaper bags. How chic is this one??? I might just HAVE to HAVE it!!! 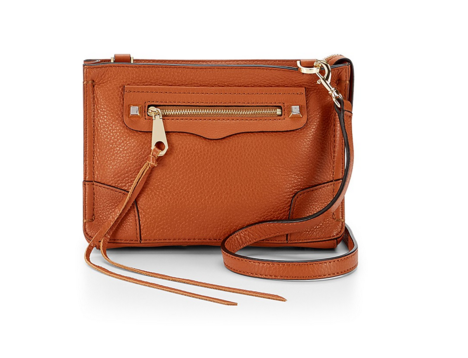 Shop ALL Rebecca Minkoff on sale HERE. 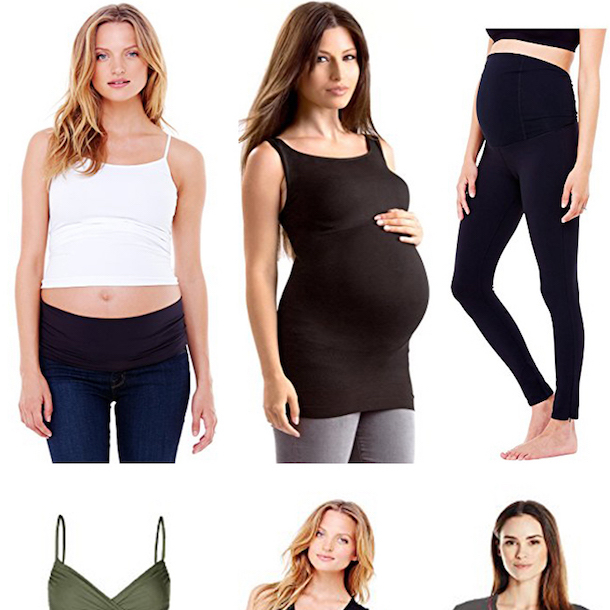 Shop all Maternity on sale HERE. 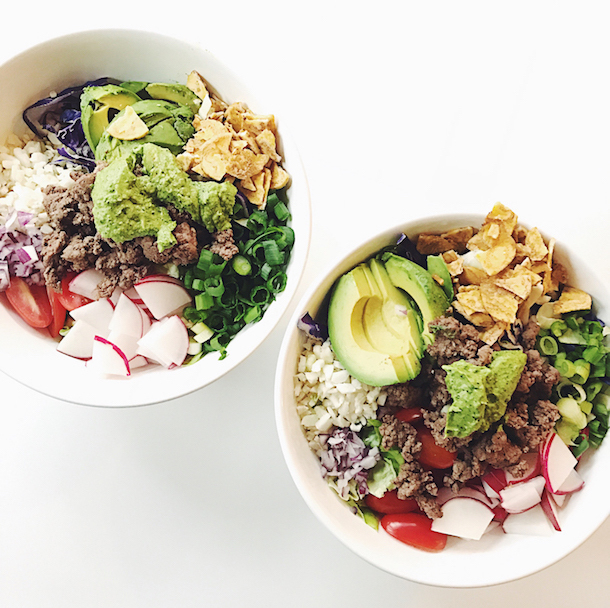 Still not sure what to put on your list? Sunglasses are always a good idea and THIS pair of Karen Walker sunnies has been on my list for far too long, it’s time to snag them. They are literally flattering on nearly every face shape and the tortoise is so timeless. 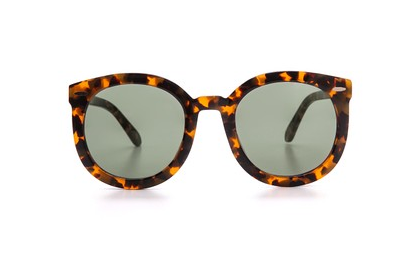 Shop all Karen Walker Sunnies HERE. Shop all sunglasses on sale HERE. 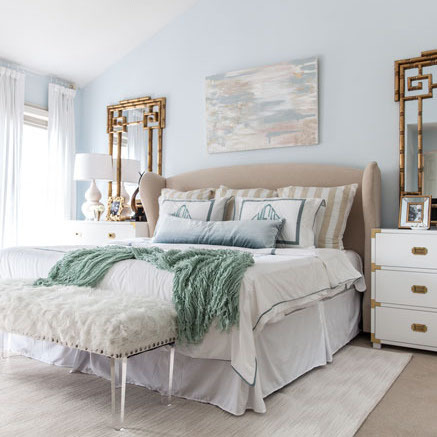 Wayfair …has CRAZY good doorbusters! 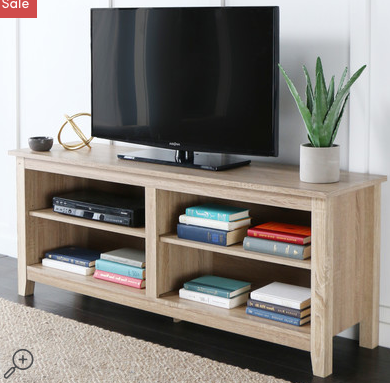 This TV stand or storage console is just $99 in 3 finishes + FREE shipping! Shop it HERE. 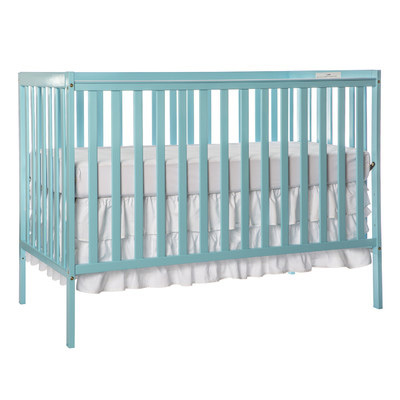 Kind of dying over this 5-1 convertible crib (that gets amazing reviews!) for around $100!! It comes in 4 gorgeous glossy finishes and I might just pull the trigger once we find out what this baby is today! Shop it HERE.